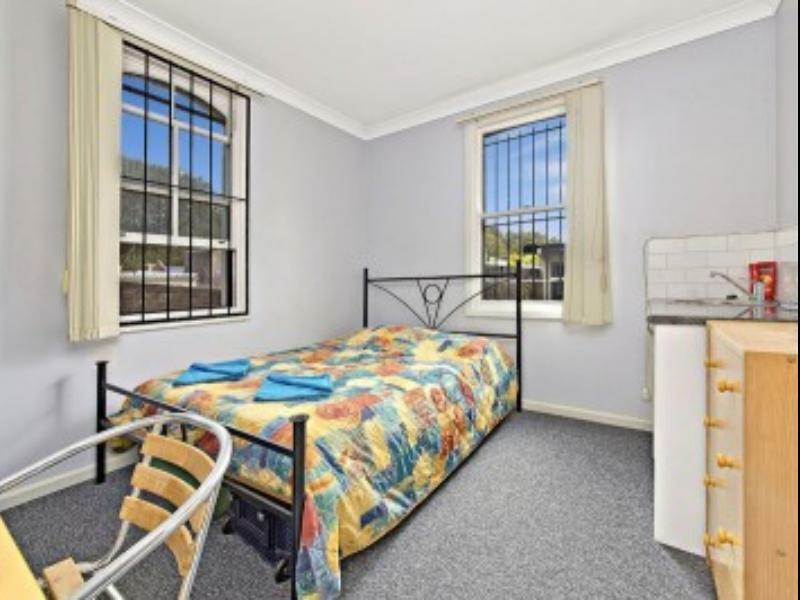 يشكل فندق Sinclair’s City Hostel بموقعه الممتاز في قلب Surry Hills نقطة انطلاق ممتازة لاستكشاف سيدني. يسهل الوصول إلى هذا الفندق ذو 3.5 نجوم من المطار، فهو يبعد عنه مسافة 10 km فقط. يوفر الفندق بفضل موقعة الجيد وصولاً سهلاً إلى أهم معالم المدينة.
. إن الخدمات التي يقدمها Sinclair’s City Hostel تضمن للنزلاء إقامة مريحة. يمكن للنزلاء الاستمتاع بالميزات التالية: واي فاي مجاني في جميع الغرف, خدمة غسيل ذاتية, تخزين الأمتعة, واي فاي في المناطق العامة, جولات أثناء إقامتهم في هذا المكان الرائع. بالإضافة لهذا,تتضمن كل غرف الضيوف مجموعة واسعة من وسائل الراحة . بعض الغرف توفر حتى مناشف, تلفزيون بشاشة مسطحة, بياضات, اتصال لاسلكي بالإنترنت, اتصال لاسلكي بشبكة الإنترنت (مجاني) لإرضاء أكثر الضيوف تطلباً. كما أن مجموعة الخدمات الواسعة الموجودة في الفندق لضمان راحتك تترك لك الكثير من الخيارات لقضاء وقتك أثناء فترة إقامتك. مهما كانت دواعي سفرك فإن Sinclair’s City Hostel هو خيار ممتاز لإقامتك في سيدني. Definatly the worst backpackers accom ever stayed in. Had own room, which had a strong smell of mold. You could visually see bed bugs and stains on the sheets. Was no one there to complain to at night (reception is irregulary there, even during the day). By the morning, had over 60 bed bug bites all over my body. Complained to reception, who didn't care or offer refund etc, they simply said it wasnt bed bugs, even after showing them photos of the bed bugs! This place is terribly run down, and I would avoid at all costs. They are very calculative with every things, poor facility and toilet very dirty , window no curtains, the bed sheet very dirty like never wash, the whole building full of indian curry smell really feel not uncomfortable. Room was clean ok, but shower, corridor and stairs needed vacuum. In the afternoon, footprint was present on the shower's floor and toilet paper was missing. Daily cleaning wasn't done the housekeeper said... In the evening, the footprints was still there, but at least toilet paper have been add. Its not a bad place if you only stay for 1-2 night. But the quality/price ratio is not good at all. I emailed the property prior to booking to ask, if the room was share as I haven't shared in a dorm style and not sure safety wise. I didn't receive a reply. I went back through for a booking and the room on booking said it was a private room, when the manager emailed a confirmation. Then states the room is not private and another person can share? They did accommodate that I have the bottom bunk due, to being older, fatter and not as fit to climb on the top bunk. And also explained the room did have a lockable wardrobe, but I provide my own lock? Now I paid a $50 key deposit on arrival this is fine? Although on coming back to the room on Sunday lunch time ( which I don't often do while in Sydney) There was pencil arrows to the number 7 asking can I please leave the door unlocked as I am the only one with a key???? I found this odd to say the least? one I have paid my key deposit, shouldn't I be allowed to feel secure and safe as one can in a share room in Sydney for my stay?? Avoid this place like the plague! Didn’t read the reviews before we stayed. Don’t waste your time, book something else. - Firstly, the photos are modified, They are not original. The room look way bigger in photos but actually they are so very tiny that its not sufficient for one person and they try to fit in two. - I wasn't even told that I would be sharing the room. The description doesn't say that anywhere. - I was given a room with a fellow and the room was so messy. The owner told me to tell him. Come on, its not my job. How unprofessional. I arrived late and I didn't know where else to go as the booking was non refundable. - It was a terrible experience. - The bathroom had insects & worms. No soap, not even for washing hands after! - Coming to the room. I know myself how I have spent the nights. I was really unhappy. not much ventilation and the unhygenic stuff was really bad. I guess its only for students and no one else. There was bunk bed and always shaking throughout the night. The bunk bed quality was such that its made for children. I couldn't even fit myself in. I had to squeeze in myself. TIP: DO NOT BOOK THIS UNLESS YOU ARE WILLING TO COMPROMISE ON EVERYTHING. BOOK AT YOUR OWN RISK. ITS CHEAP BUT REALLY NOT WORTH. DEFINITELY DO NOT BOOK AS ITS NON REFUNDABLE. 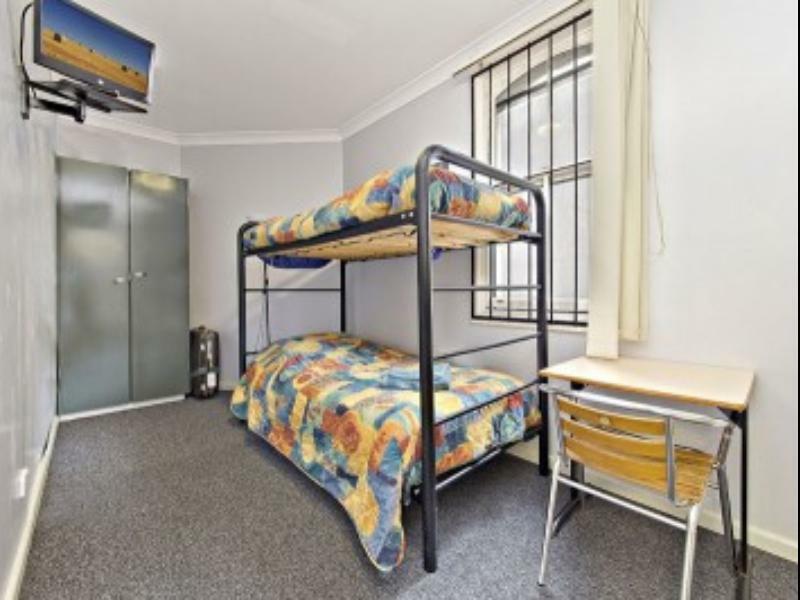 Apply for a single room and get put into a share, floors creek and very thin walls. Charge a $150 bond on arrival that is not stated on the web sight. Staff are Indian and are hard to communicate with. Great location. Staff is flexible. Very basic service with cheap rates. Toilets are quite small and so the rooms. OK if just need a bed to sleep! The private room is SWELTERING. Not just summer heat, but an absolute sauna box. Conveniently right around the corner from toilet with showers dial the hall. Furniture (mattresses etc) lined the hall & hall lights rarely came on making it difficult to navigate. Communal kitchen was immaculate, as to was the room. The room whilst small had everything you needed included towel & sheets. Host was very friendly. 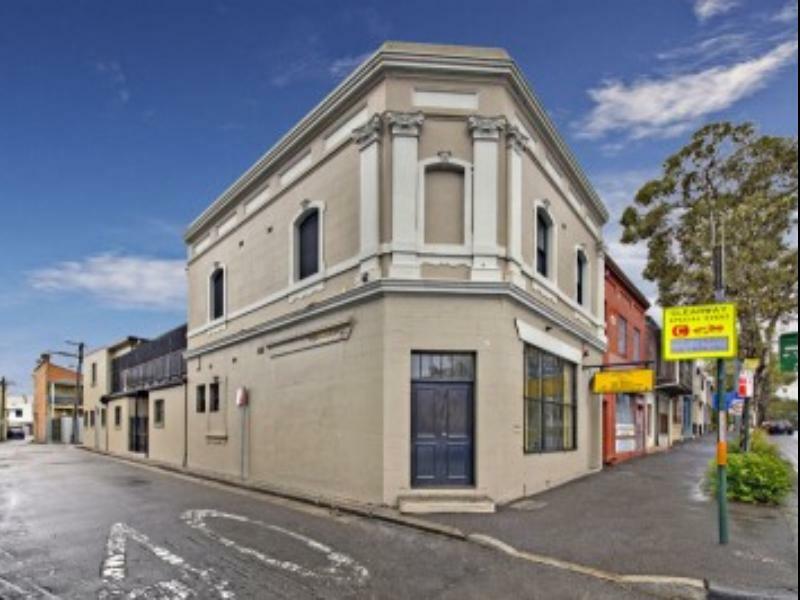 Location to Moore Park, supermarkets and Oxford St is exceptional. Wifi is NOT free & credit card details are obtained. Fix the heat issue & this room would have been perfect! It's definitely on my list of favourites. Warning, checkin is only open to 10am then from 5/6pm. This wasn't mentioned in the listing so when I arrived nobody opened the door for an hour, then someone showed me the manager phone number, who then asked the name of the person that had let me in. Weird. He then asked how big my bag was and if I couldn't just carry it around the city all day. Errr, that's the point of getting a room :) You have to manually fill out a credit card authorization form, including your csv number, and sign that you will be charged $150 for key loss or damage. Ok, but there's nothing worth that much in this place! Weird to do it this way and not via a pre-auth using the card machine that they had, that every other hostel/hotel in the world does. Also weird when I went to checkout at 9:30 I was being hurried along inside the small room. And weird again that they refused to tear up the cc auth form when checking out, saying it was now a business record of who stayed and not to worry as they are a legit biz. I found and killed 1 large bedbug, and noticed the sheets weren't changed for the next guest as the 'death stain' was still there. I pointed it out and the sheets were changed. Hey, this is basically an international student dorm hostel, it's good value for where it is, the other guests are cool, the management are also ok (just weird). I'd stay here again. Just, weird :) If they mentioned checkin times in the listing, wrote 'this form is a customer record and will be kept' and didn't ask for the cvv card number (or pre-authd the charge), and hey - why not mention the $150 thing in the listing. If they did that, it would be less weird. But yeh, not so bad. Good location. Close to a park and a pool. Good value.